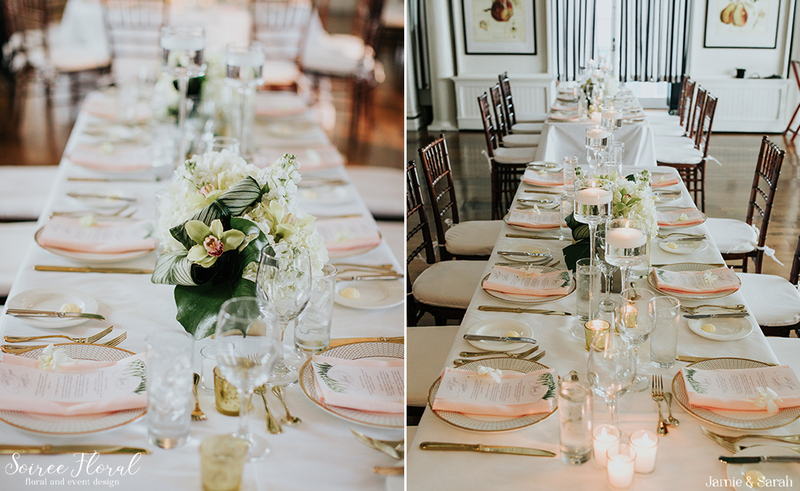 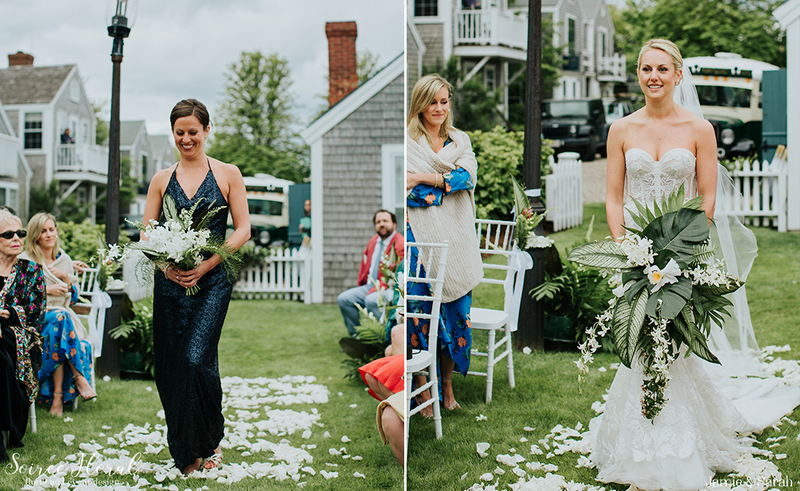 A Tropical Nantucket Wedding at The Nantucket Hotel with an amazing team of vendors. 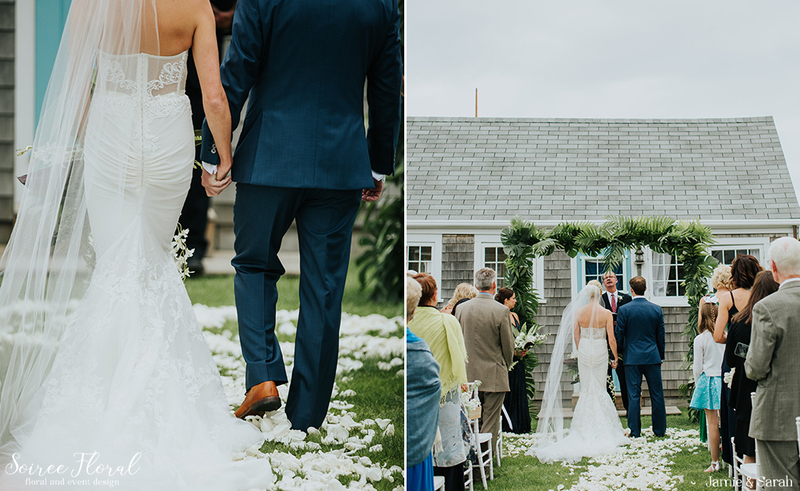 Stefanie and Brian wed dockside on Old North Wharf, on the lawn of a family friend’s cottage, named Mary Slade. 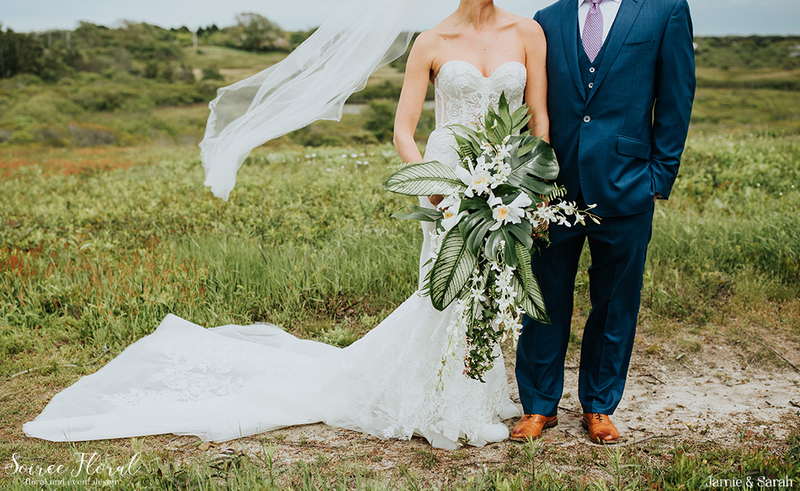 Under a trellis of lush tropical foliage surrounded by family and friends, they said “I do.” Stefanie carried a modern tropical bouquet, with lots of movement; a perfect accompaniment to her stunning strapless gown. 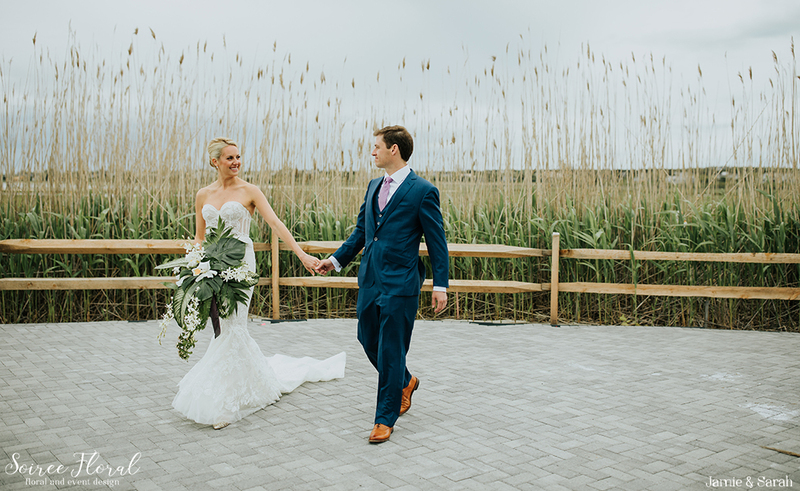 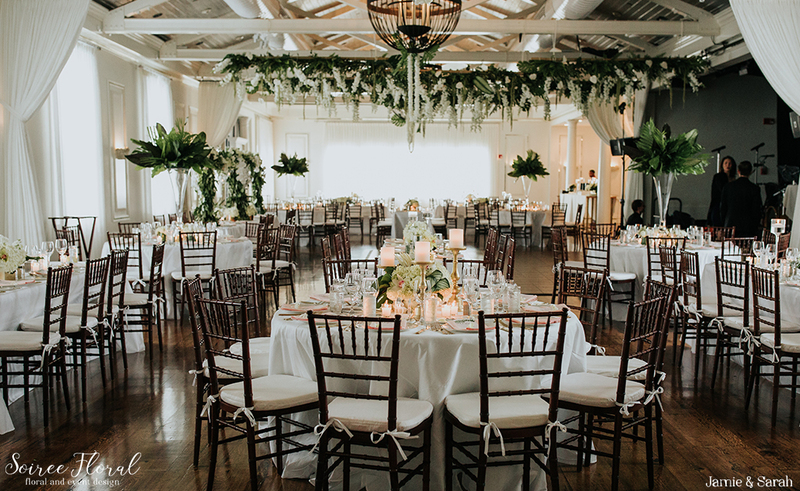 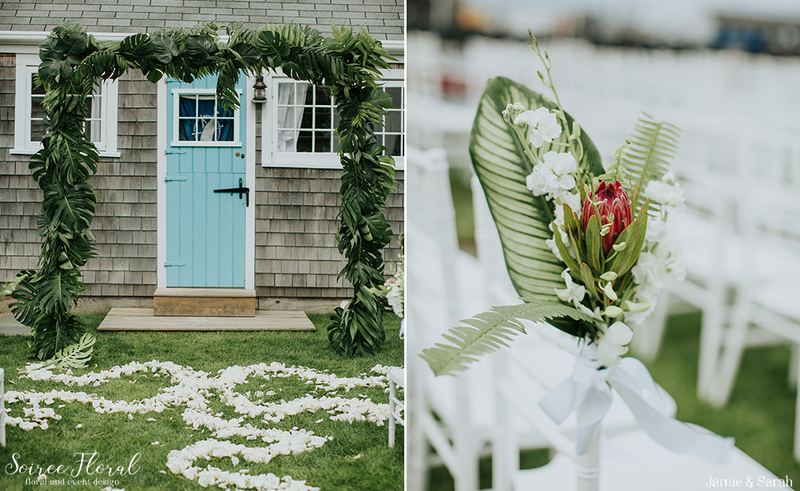 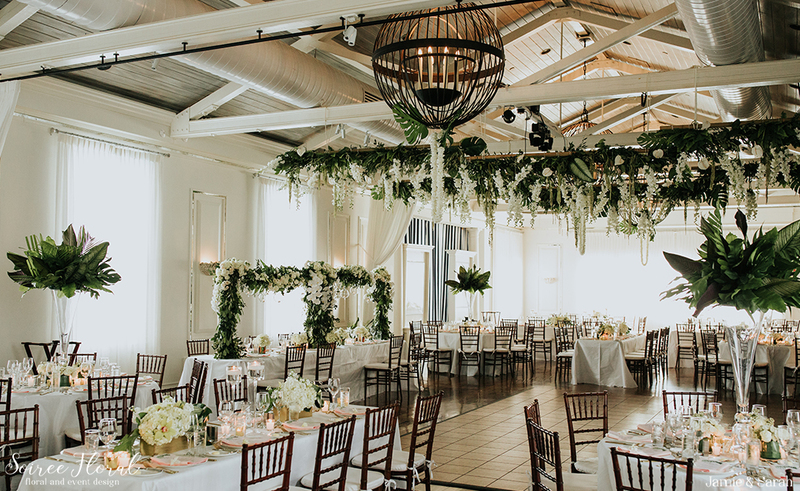 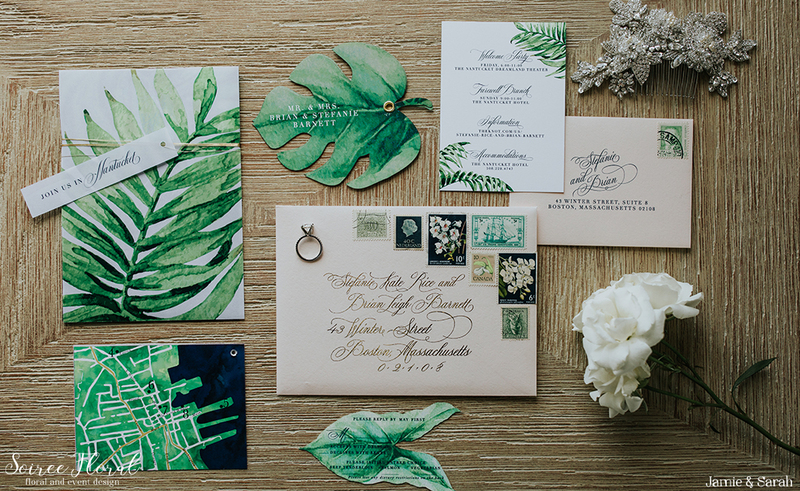 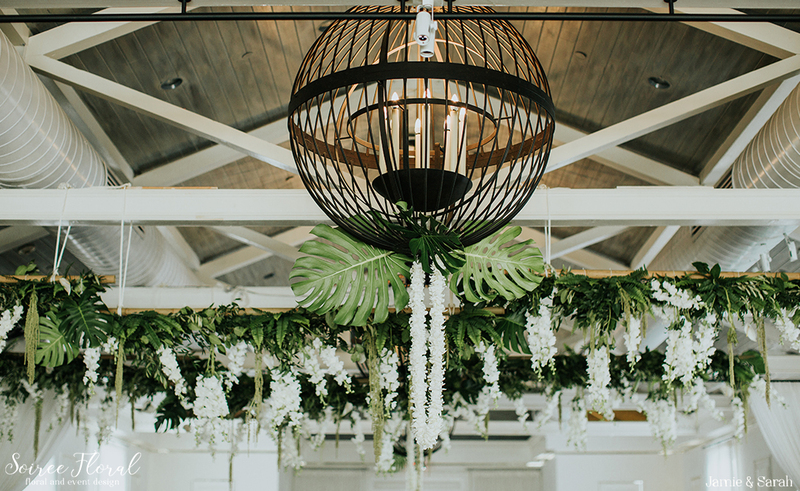 In addition to the tropical foliage at the ceremony, the ballroom at the Nantucket Hotel was bursting with tropical blooms and greenery. 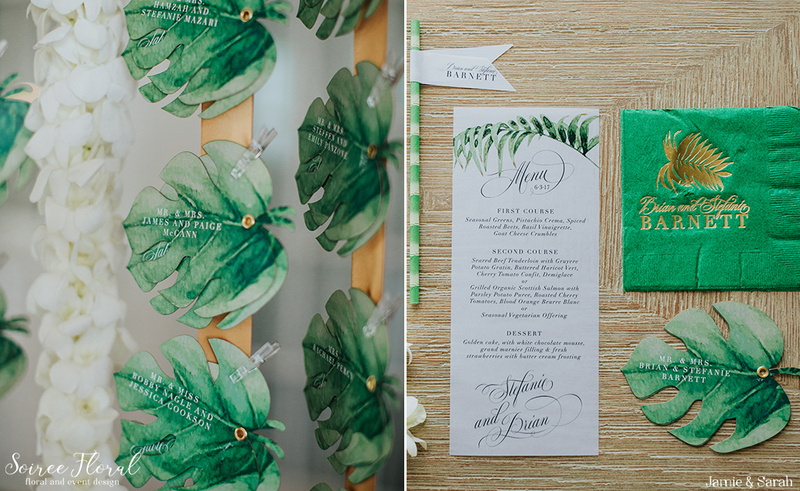 Guests were greeted at cocktail hour with an installation of laser cut monstera leaf cards, guiding them to their tables. 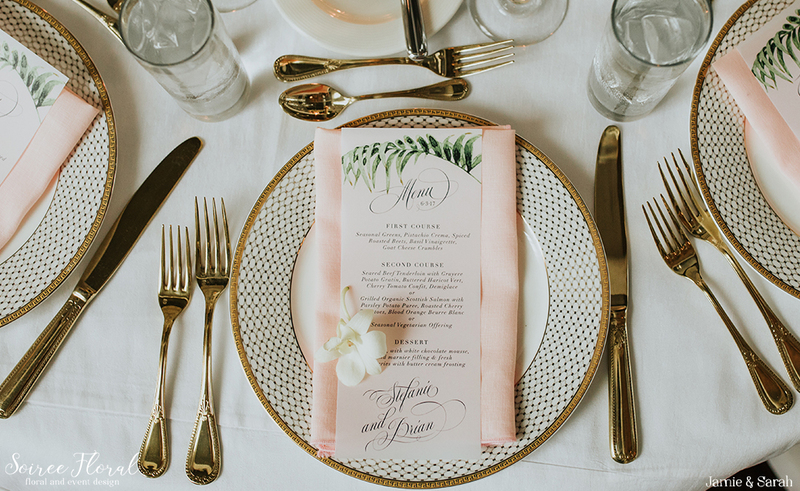 Amongst the white and green florals designs, a hint of gold adorned the tables with chargers from Placesetters which were topped with vellum menus by The Idea Emporium. 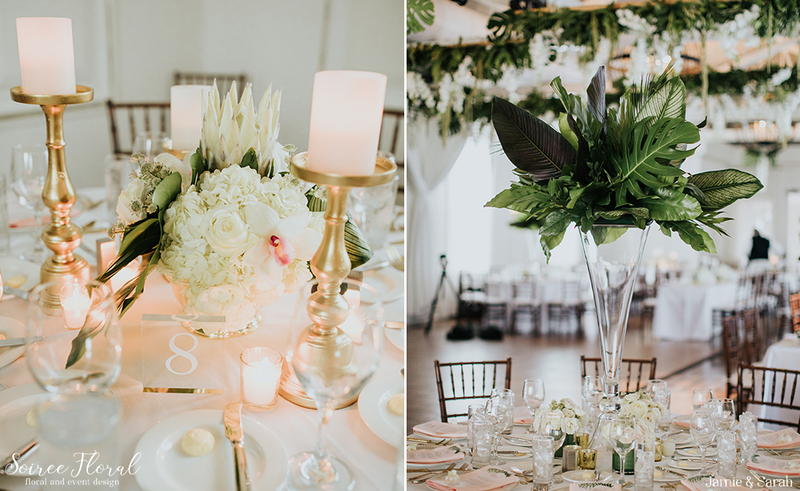 The centerpieces were a mix of protea, orchids and tropical foliage. 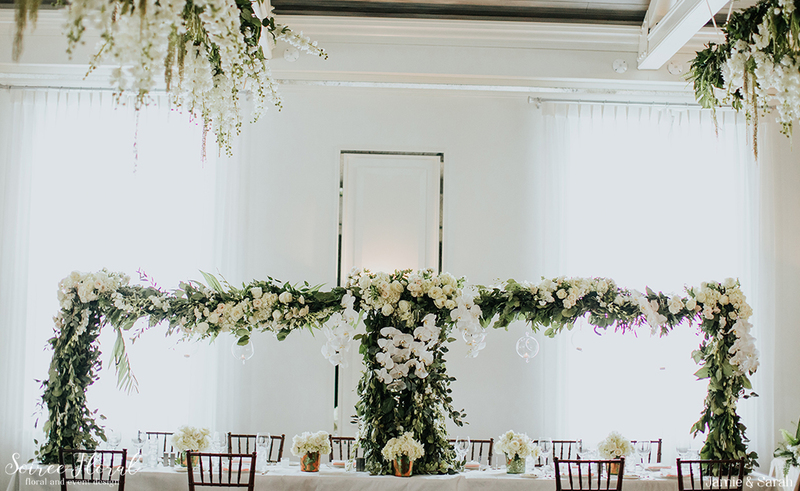 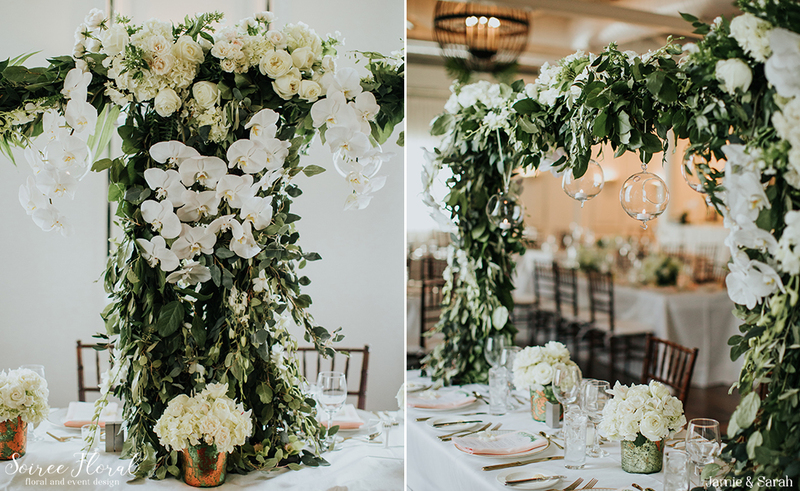 The head table was the focal point, with a tabletop trellis covered in greenery and blooms and hanging orbs. 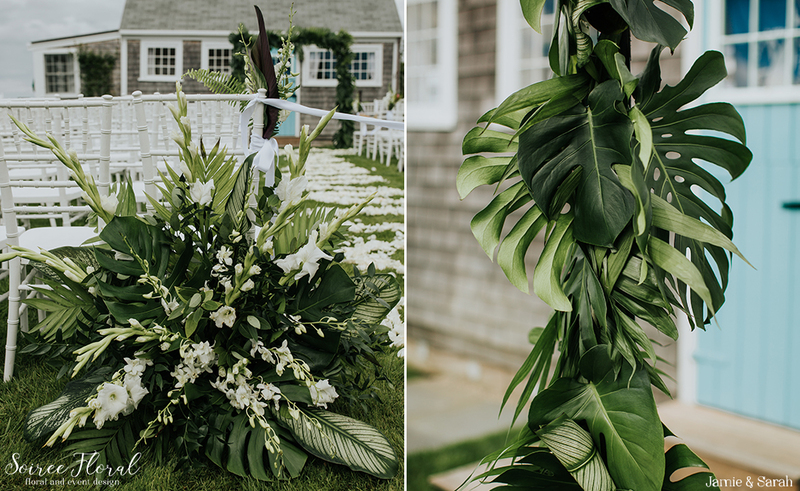 And the lush florals and foliage didn’t stop there, with orchid strings and leaves in the chandeliers to the ceiling installation of orchids and tropical leaves… we just can’t get enough of this tropical Nantucket wedding, exquisitely executed by KG Events & Design. 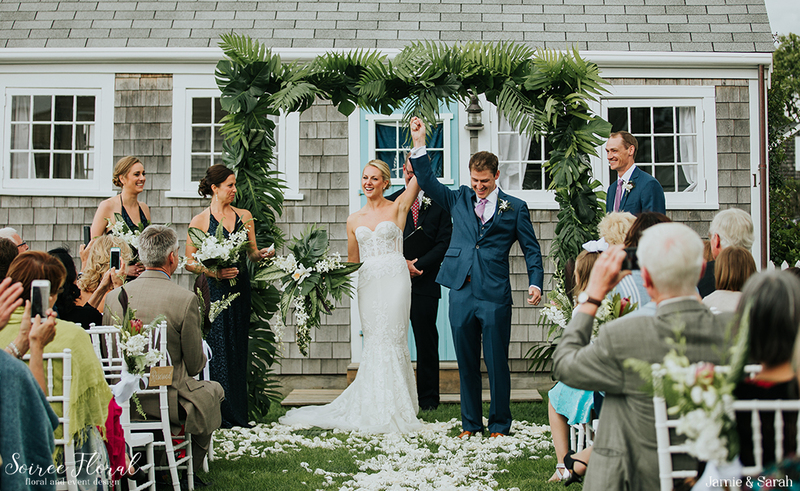 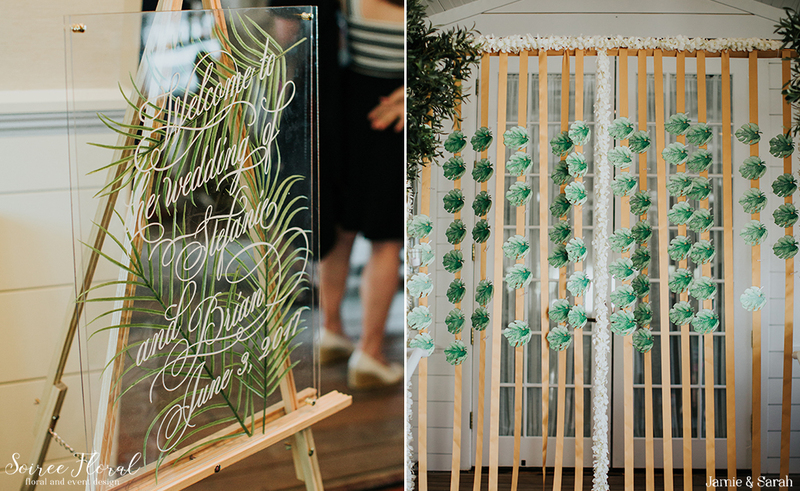 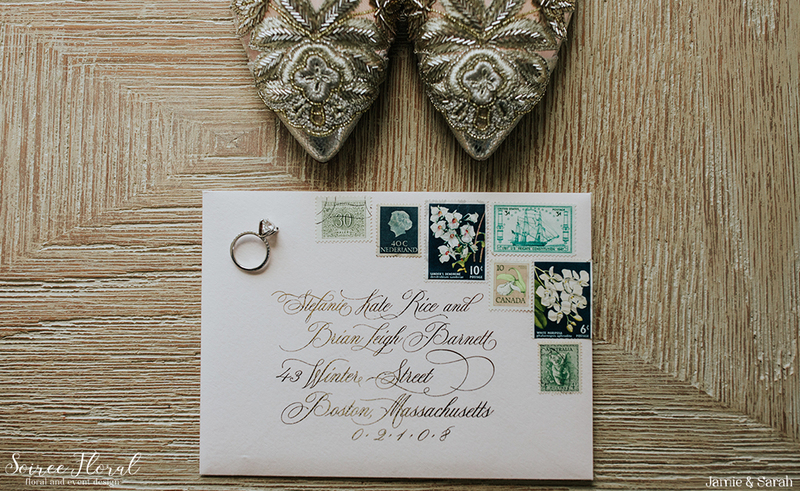 See more of this Tropical Nantucket Wedding here.